If you have captured a screen shot from Google Maps then the bitmap path will already be filled in and the bitmap will be positioned in a default position in the middle of the screen. If not you need to click on the "Browse" button and find the bitmap file you will be using. We suggest that you keep any background bitmap files in the same folder as the job. Makes it easier to keep track of files etc. 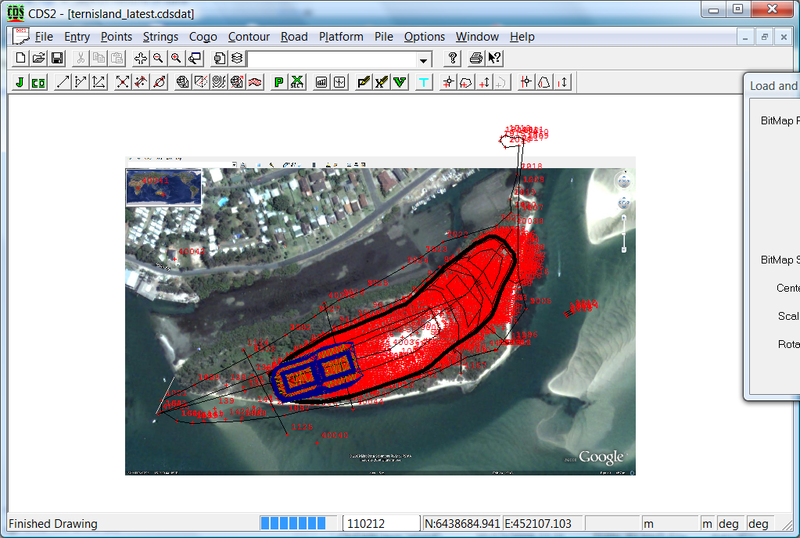 Once you have found a bitmap then the procedure to georefence the file is as follows. 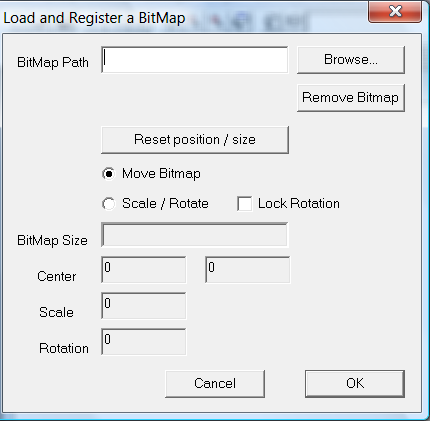 (1) Make sure the "Move Bitmap" radio button is set. Now you need to identify a point on the bitmap and an equivalent point on your job. (2) Left click down on the point on the bitmap and while keeping left mouse button down draw a line to the equivalent point in the job. Release the key. (3) the bitmap will be moved and the point identified will be in the correct position on the bitmap. (4) Change the radio button to the Scale/Rotate option. (5) We now identify a second point on the bitmap and the equivalent point on the job. 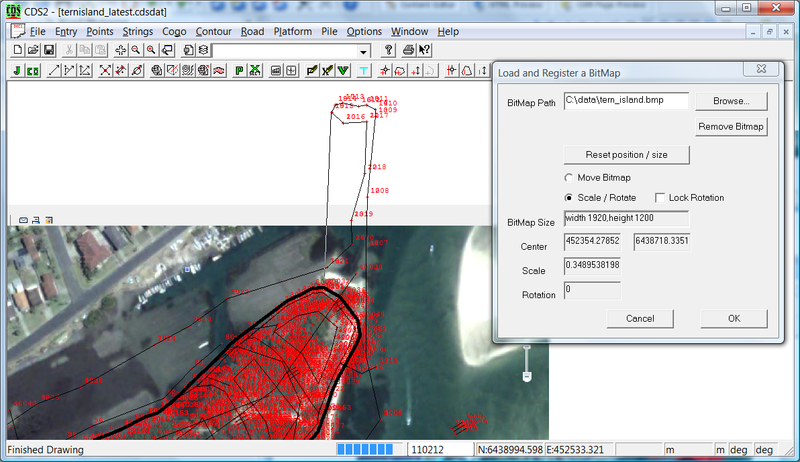 (6) Left click down on the bitmap point and draw a line to the equivalent point identified in the job. Release the left mouse button. The bitmap will be scaled and rotated so that the two points in the job and the equivalent points on the bitmap align. (7) If you have a bitmap that you don't want rotated then you can tick the "lock rotation" check box. The bitmap will not be rotated, however the 2nd point may not match exactly. You can repeat the procedure until a "best" match is achieved. 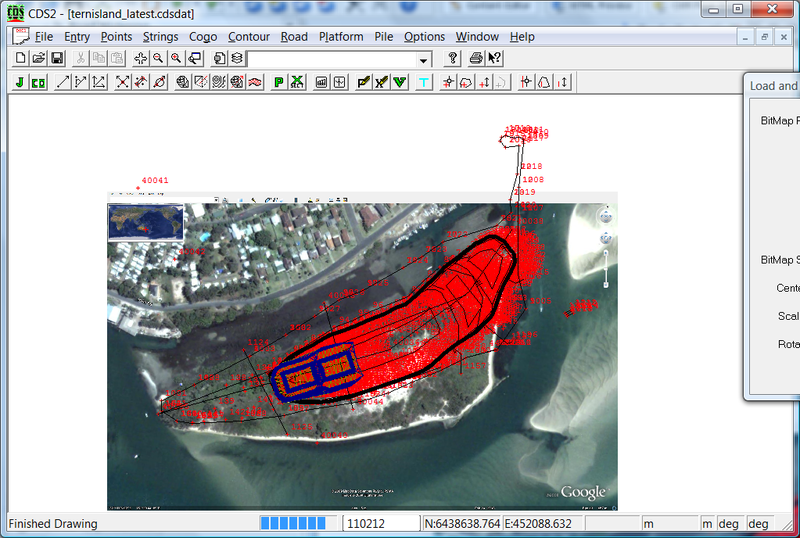 In picture above we are drawing a line from point on the bitmap to the same spot in the job. 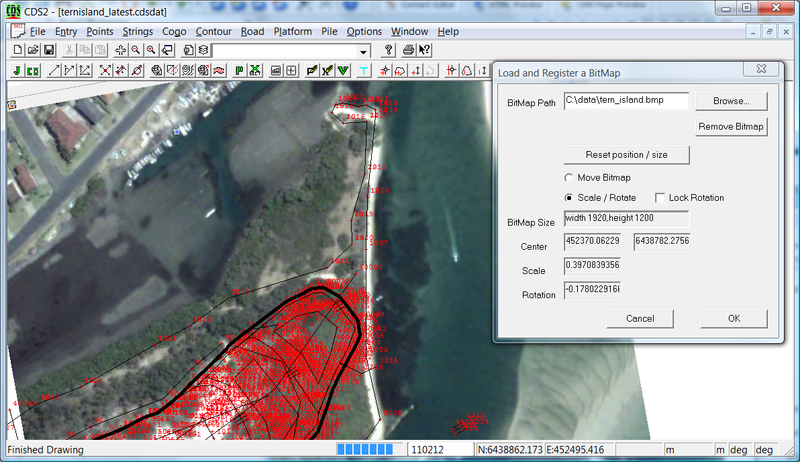 Bitmap has been moved and now match at the left end of the Island. 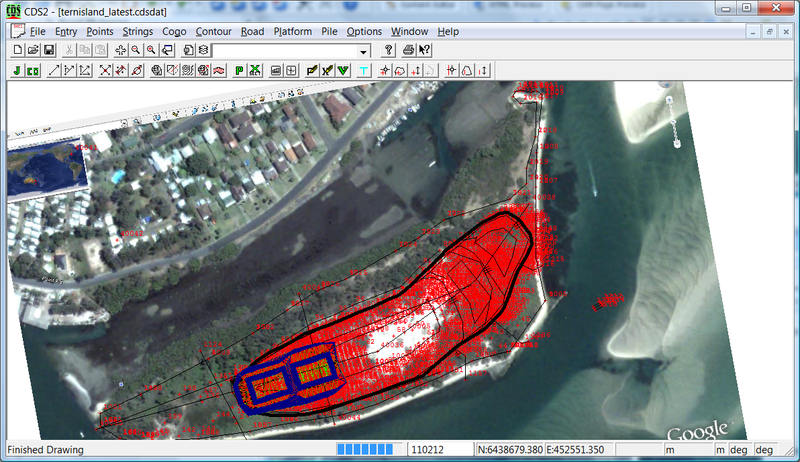 Made sure using Scale/Rotate and drawing line from top part of Island to equivalent point on the job. Whole bitmap now in alignment.